Be the first to hear about their new releases and deals. 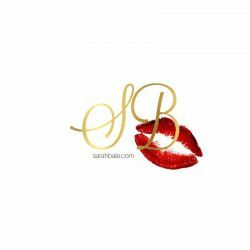 Download the Booksprout app and search for Sarah Bale today! Sarah Bale's family always knew she was destined to write romances when they saw the elaborate stories she created for her Barbie dolls. At fifteen she penned her first book, which will never see the light of day if she has any say. She is the author of over 31 books, with more on the way. When Sarah isn't writing she enjoys spending time with her family and friends and also planning what she’d do in a zombie apocalypse. She resides in Oklahoma and doesn't plan on leaving any time soon.